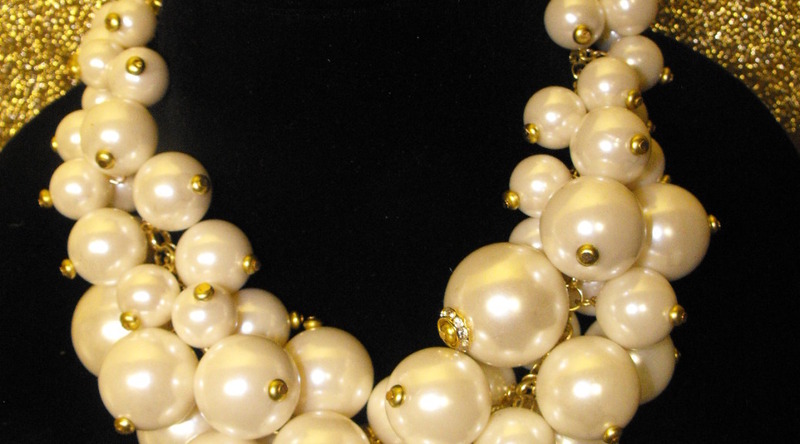 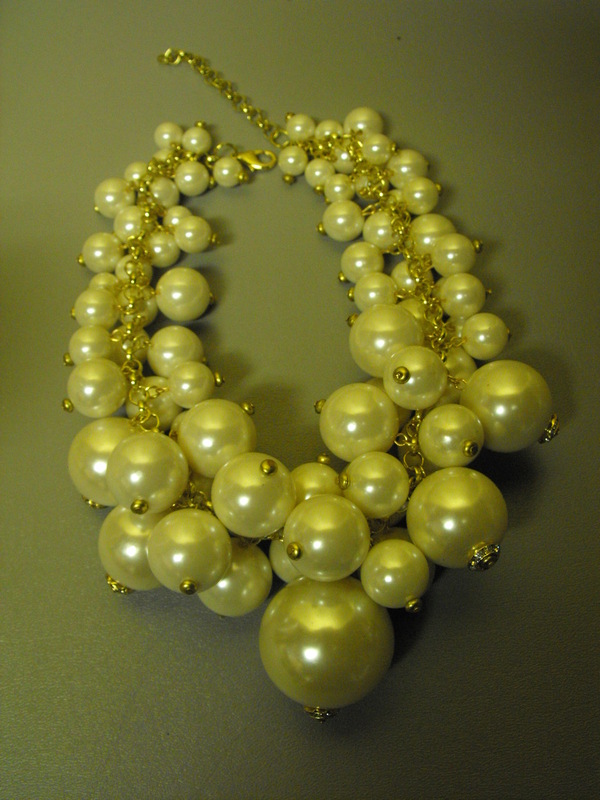 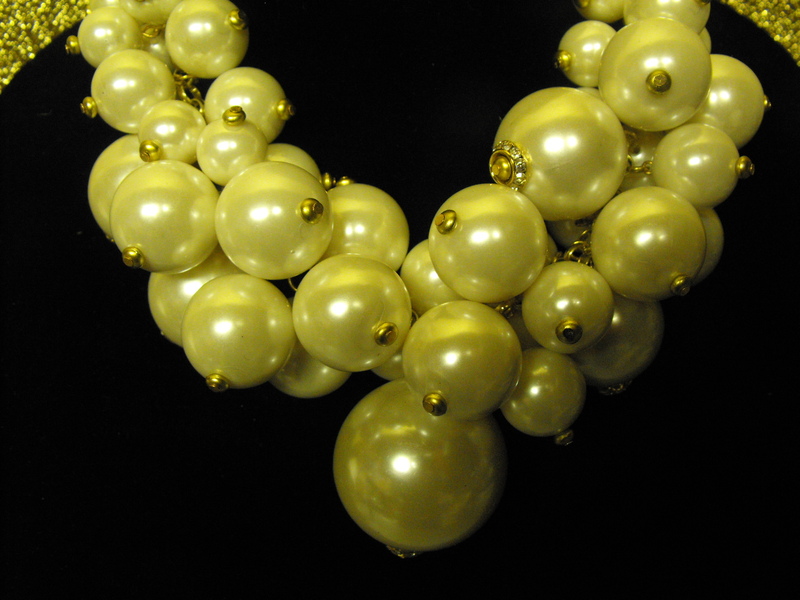 Cluster of faux pearls in varied sizes some of which are accented with rhinestone rondelles. 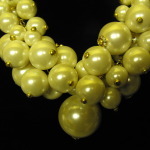 It’s a classic 1950’s revival piece. 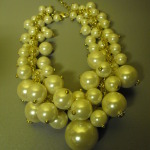 This necklace can serve as a regular necklace or choker due to its generous extension chain. 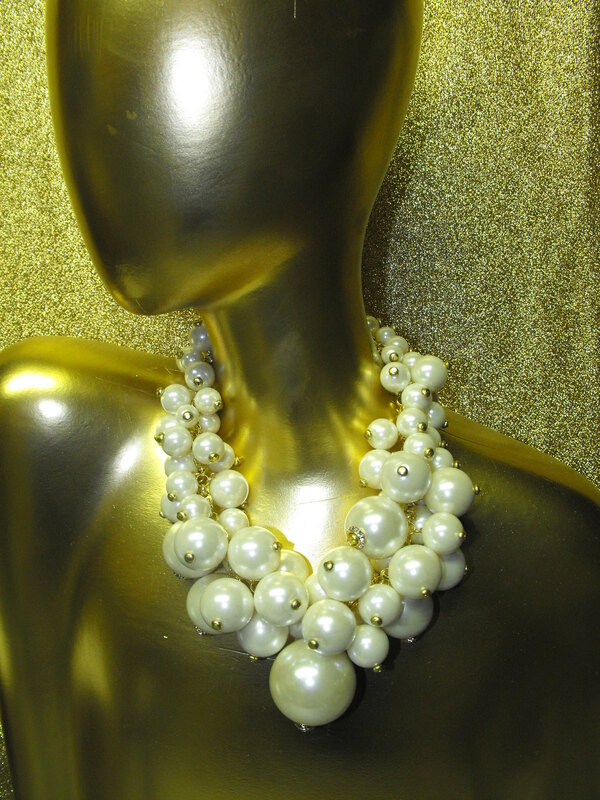 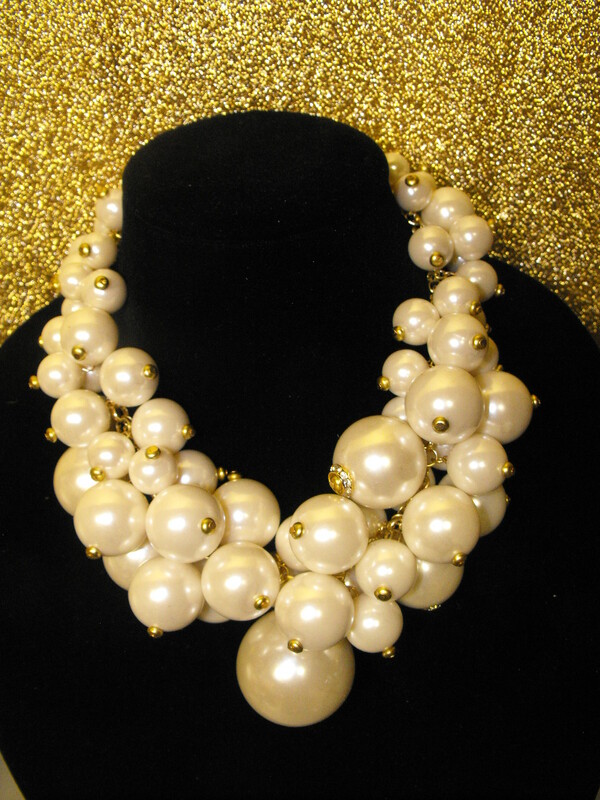 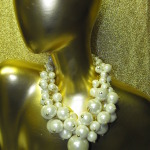 Pearls always make a statement whether by themselves or in a cluster.